things and local dishes and giving things you would never normally eat a go. Central Hong Kong and the Four Seasons and IFC Mall in particular is a rather business-y, flashy, international place so it is the perfect setting for this glamorous restaurant. 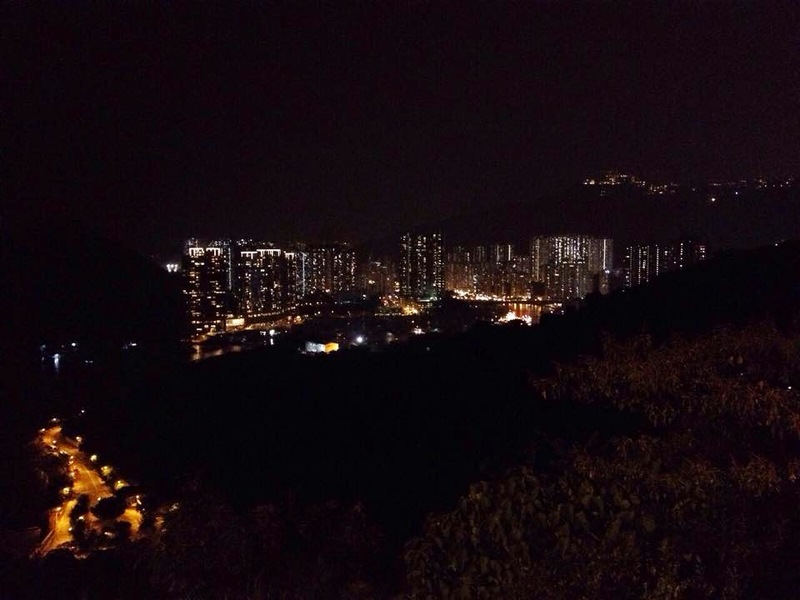 Lung King Heen means view of the dragon, and while you might not get a view out of the window of a dragon, you do get a spectacular view of Victoria Harbour and the opposite ICC building over in Kowloon which lights up every night around 8.30pm. Try and schedule your dinner to coincide with this. Because of the beautiful decor and amazing views the ambiance in the restaurant is fabulous. The food is just delicious, it’s authentic Cantonese food but in a modern context, with smaller portions so you can try lots of different things without feeling too sickly full. The menu is very extensive but the tasting menu is quite tame in it’s selections so it’s best to go a la carte but take someone Chinese with you, or who understands Chinese foods well enough to order the best things. suckling pig, barbecued pork with honey, some sort of shrimp…thingy?! It’s difficult for me to say, having not tried many things on the menu, whether Lung King Heen deserves it’s 3 Michelin stars and I didn’t try any of the live seafood dishes that they are famous for. 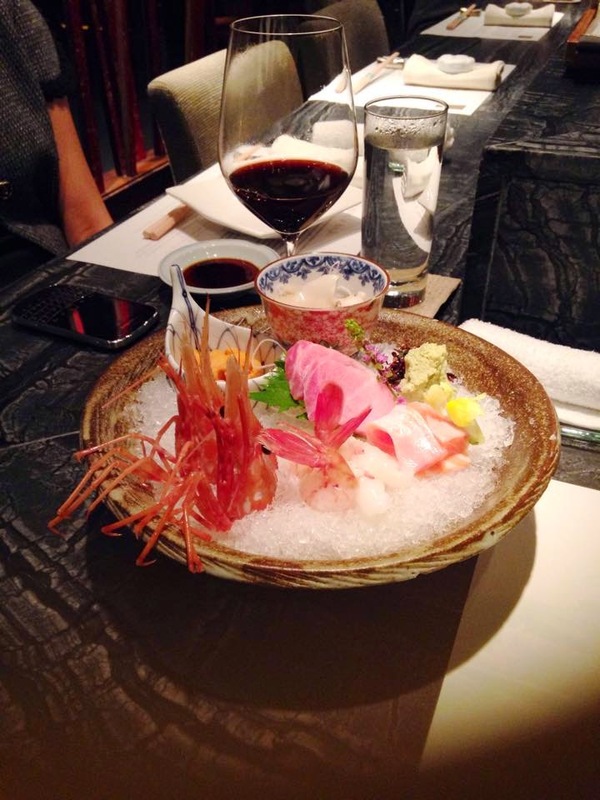 I would say the food that we had was very good, tasty, flavorful and well cooked and the service was exceptional and how you would expect from a fancy restaurant in the Four Seasons. The highlights of my meal were the bbq pork with honey and the steamed hairy crab dumpling. Overall I think this is the equivalent of a European 1 Michelin star restaurant and, while definitely somewhere I recommend going and worth a visit for anyone wanting quality Chinese food with a beautiful view, perhaps don’t expect it to be the best place you have eaten in your life, as the 3 Michelin stars might suggest. to find in Hong Kong and we sat at the tempura station on comfy seats. The menu was so extensive I was baffled, so once again I left it to Rowina to pick the food for me, which, in hindsight, I perhaps shouldn’t have done this time, but more of that later. throat of guzzling and gargling with cod liver oil. Frankly this was the worst thing I think I have ever eaten. So only attempt this if you have a palate for the fancier oilier things in life! It did give much hilarity to my colleagues from Asia as I went a bit green and had to go to the bathroom to throw up however, so there’s always an upside if I am at least amusing people! The abalone was chewy and I cant say it really tasted of much, but I have no benchmark, having never had it before. I can’t say I would rush to have it again, along with the orange sea urchin, definitely a no no from me! It’s all personal taste though. The beef was the best beef I had eaten in my life, I have never had Wagyu before and now I see why it is so expensive, it was absolutely amazing. I must have more Wagyu in my life! Aside from the oily surprise of the tuna sashimi and the sea urchin which I am sure was done well, but I personally hated the taste of, it was a great meal with great wine. It was nice to eat Japanese food and have a break from Chinese after a week in Hong Kong and, while it was on the pricey side, work were paying! So I couldn’t complain. There is another branch in Kowloon which is apparently cheaper so you might want to head there if you aren’t bothered about the views, just the food. Rowina took me to Chee Kei on my first night in HK. I thought it was cheap, cheerful and a good introduction to everyday Chinese food as his first night was a takeaway of fried rice and tempura from Inagiku in the hotel room! I think he got the better deal out of the Inagiku food after seeing it all, he loved it. Chee Kei never came up in any internet searches for me prior to going to HK and so I am glad Ro took me there, they even have a Michelin HK and Macau sign on the door, very impressive for such a casual dining restaurant. It’s pretty hard in HK to know what is a good restaurant or a bad one from the menu or looking at it on the street, they all seem to look the same and have very similar menus. I found that this might be because every area seems to specialise in a certain thing, all Jade is sold in one area, all the food markets are in one area, all the fancy shops are in one area and the cheap market style shops in another etc. Chee Kei is a very casual setting, everything is cozy and it’s more of a diner/cafe style vibe. 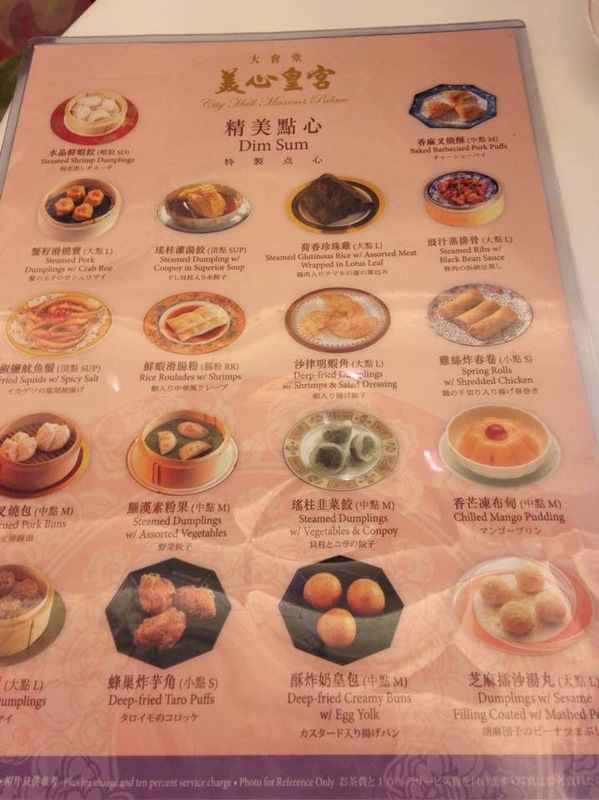 The menus are simple laminated lists and it is quite brightly lit, everything on the menu is in cantonese but there are English menus available, or you can use the age old point at something approach which is generally easier. It was busy both times we went, with a mix of Chinese and international customers. They are known for their wonton noodles and soup so we went for that both times, the first time Ro ordered me a barley drink as well which was very different to our barley water! She had noodles with brisket and we shared some vegetables and rice as well as some beef tenders. The wonton soup is delicious and a classic and well done dish, they excel at this. The soup is very flavourful and the wontons are cooked to perfection with the shrimp tasting amazing. The barley drink was very sweet but also very refreshing, it was weird having ‘bits’ in my drink though! The fish balls weren’t to my liking as they just tasted like polystyrene but everything else was delicious especially the rice and the beef tenders. The service was good and friendly. For the price I was very impressed. The City Super is a food supermarket however I loved it here, I picked up sushi or sashimi for lunch every day when I was working and I nipped in again on my stopover from Vietnam before I came home to pick up some Japanese sweets and Asian dipping sauces to bring home. The sushi and sashimi is fresh and delicious, the Little Mermaid bakery had some amazing breads and pastries and you can go and look at the live crabs near the back of the shop and wonder at the huge-ness of them! Overall this is a great stop to get some cheap and fresh healthy lunch if you are in IFC mall. place was rammed with people. I wanted to experience a traditional Dim Sum restaurant and this is one of the only ones left where the Dim Sum comes around on a trolley and you pick what you want and get it immediately. This is a true Hong Kong yum cha experience and I think it would be hard to beat. The location is a huge ballroom with chandeliers and a great view of the HK harbour and waterfront. The trolleys come around laden with baskets of dim sum but remember you might need to flag down one of them by waving if you are western as they realise that we do like to have a look, but might not be interested in eating a specific thing, so they just walk on past while we gawp. The food was great, not 100% the best dim sum I have ever had apart from the custard tarts, but the egg custard dumplings and BBQ pork buns were sublime. This place is a must if you are going to HK. I hunted down online a well reviewed place with pictures of some amazing food and off we went, after what appeared to be a million years wandering around Kowloon park and buying a camera we were both starving. It would have been better to have a reservation here so definitely get your hotel to do this for you, if you are planning in advance. That being said the duck was the best duck I have ever eaten, so a duck coma and overload of grease was really worth it. We had the duck with sliced spring onion, cucumber, pancakes and plum sauce. Spring Deer also make the pancakes and they are really fresh and delicious as was the sauce. The duck was quite fatty, but the Chinese was does seem to be to eat quite a lot of fat. 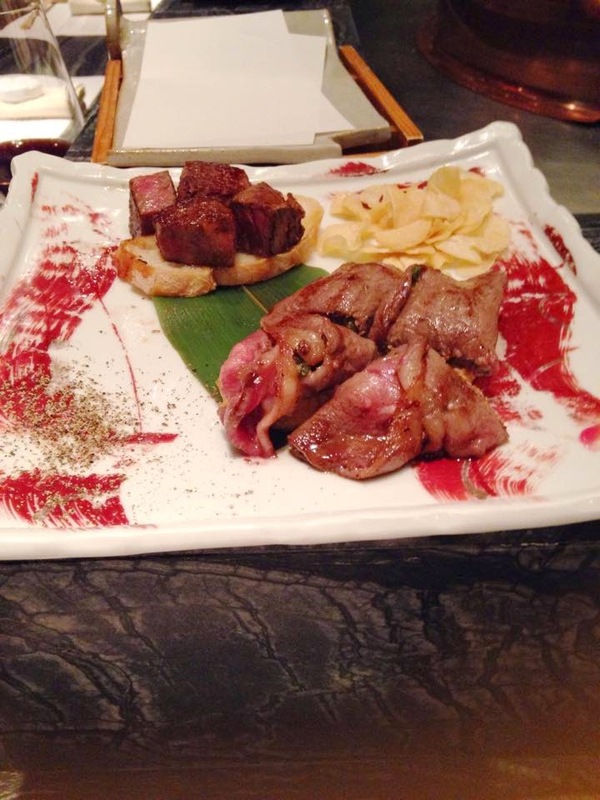 The duck was sliced at the table into perfect sized chunks by the skillful chef. The meat melted in the mouth and was perfectly accompanied by the vegetables, pancakes and sauce. This is a must-try place, the fried rice looks great as does the shrimp, so try and go for those too if there are more of you. The restaurant is quite unassuming and the decor fairly plain, I don’t think anyone is bothered though as you are there for the food, it is very popular and the place was jammed with locals having gatherings and family meals. Overall I would give the food 9/10. I did feel a bit greasy with a huge food baby afterwards! 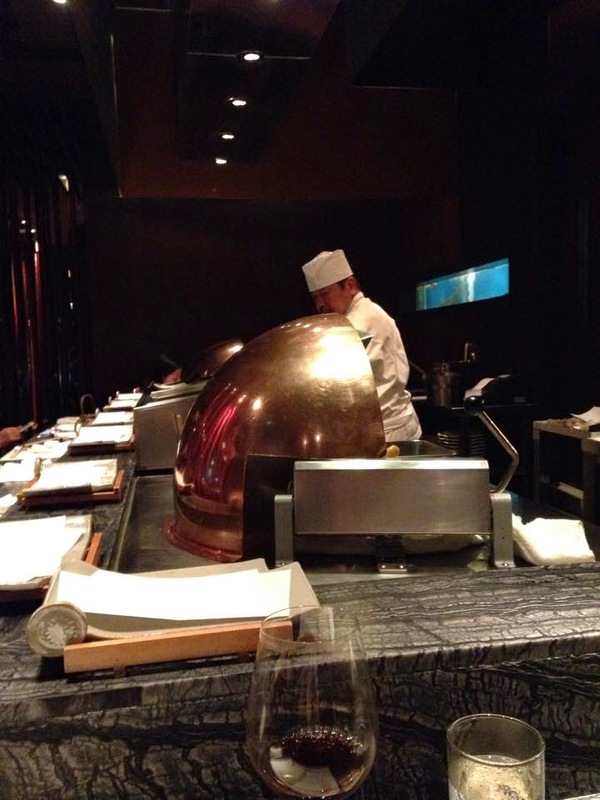 Wanya is a typical Japanese restaurant where there is an a la carte menu and an all you can eat option. We arrived late for HK as everyone seems to eat early, so only had the option of the a la carte menu. We had two plates of mixed sashimi and everything was delicious, they replaced one item they had sold out of with shrimp, but that was ok as we had never tried raw shrimp before. 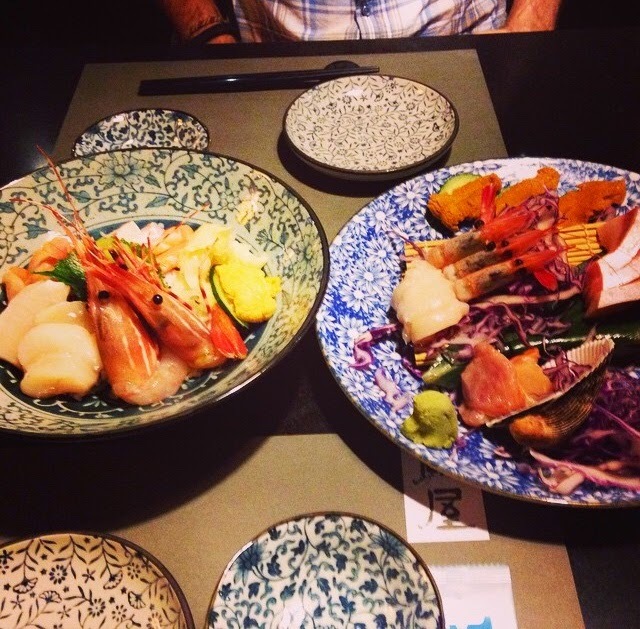 one plate of sushi was very good, overall the food quality is good but not absolutely amazing. It’s definitely somewhere to go though especially if you can’t afford the price of Inagiku at the Four Seasons.